If you have ever walked into a voting booth and felt you are continually forced to choose between the lesser of two evils -- you will want to continue reading this post. This post will highlight the backroom deals made this year by the Ohio Republican Party regarding the State offices in this upcoming election. With two very strong conservatives challenging life time politicians in the Secretary of State & Attorney Generals race, and with the all-important apportionment board being at stake this was shaping up to be a very strong ticket -- but then, as usual and at the expense of the Ohio voters, partisan politics & personal vendetta's of Ohio Republican Party Chairman Kevin DeWine & State Senator John Husted came into play. Mary Taylor was truly a God send for the State of OH. This women saved untold millions of dollars for our state. But Mary was quite contrary during her time as a State Rep in the OH House and refused to go along State Rep John Husted, the water boy for carrying former Governor Taft's failed policies and tax increases. Refusing to be a party hack, Taylor earned the ire of Husted. It was made clear to Taylor after she was the only Republican elected for a State office in the 2006 elections -- that the party (ORP) would not help her with fundraising or campaigning for reelection this year. Taylor was given the OH GOP endorsement for this uncontested primary at the infamous OH GOP endorsement meeting that HAD to be held on 9/11/09. The Republican primary winner will face off against the Democrat candidate Hamilton County Commissioner David "Deep Pockets" Pepper in the General Election. The fact that Taylor was a true conservative, a rabid watchdog of our money, and the BEST damn State Auditor we have had in a very long time came in second to Husted & Kevin DeWine's vendetta against her and the plotted agenda of consolidating their power for their ultimate quest of eventually having John Husted become Governor. Taylor, besides not wanting to help Husted carry Taft's water, would also be considered a threat for Husted if she ever decided to run for Governor. Facing off in the GOP primary for this race was former Senator Mike DeWine and Hamilton County Prosecutor Dave Yost. This primary between Yost and the global warming-loving, gun-hating, lifetime politician, former Senator Mike DeWine appeared to be an easy pick for many conservatives in OH. Why? Because Mike DeWine is a part-time conservative.... meaning he "becomes" conservative just prior to election time. With his racking up of endorsements from many of the Republican County Prosecutors in OH, his easily starting to win endorsements over Mike DeWine from county GOP parties (5-0) and having the support by all the gun-groups in OH over Mike DeWine, the conservatives and grass roots groups in this state were clearly sending a message to the supposed leadership in the Ohio Republican Party as to who they wanted as their candidate for Attorney General -- Dave Yost. 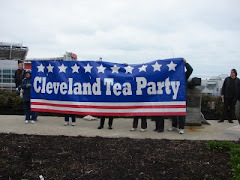 In the "Tea Parties & 9.12 Groups are nothing without the GOP" meeting held on 9/11/09 in which State GOP endorsements were given out -- Chairman Dewine & the OH GOP State Central Committee refused to give out an endorsement in this race. Even with endorsements strangely given out for uncontested primaries in State races, this was the only State office that an endorsement was not given. Mary Taylor, because of her own lack of fund raising ability and her being locked out of party money due to the Kevin DeWine/John Husted vendetta target on her back, was woefully behind in raising campaign funds for her reelection against eventual run against the Democrat candidate in the General Election -- Hamilton County Commissioner David "Deep Pockets" Pepper. The fact that Pepper's father was a big shot with Proctor & Gamble also contributed to the big money Republicans from the Cincy area that he is friends with of not wanting to cross him and refused to financially support Taylor. Much to the dismay of Kevin DeWine & Husted, seeing that Mary Taylor was being left out to dry & knowing DeWine & Husted were all giggly over Taylor's imminent political demise, John Kasich threw Taylor a political life-line and asked her to run as his Lt. Governor -- thus creating a vacancy on the GOP primary ticket for the State Auditors race. When Taylor abandoned her reelection bid for State Auditor, Ohio State Representative Seth Morgan announced his candidacy for this seat. Though Taylor was a superstar and had the power of running as an incumbent going for her, Morgan had the same drive and qualifications Taylor and the Ohio Republican Party stated was needed for being a State Auditor when she successfully ran for this office -- that a person running for State Auditor should be a CPA. Morgan, like Taylor, is a C.P.A. So.... everything in Elephant Clan land was all good now - right? Nope! Even though he was a qualified candidate by being a CPA & had shown he was a fiscal watchdog as a Huber Hts. Councilman & OH House member, during this time Seth Morgan also ran a foul of the lemon-like leadership of ORP Chairman Kevin DeWine & his trusted tax-loving sidekick John Husted. Putting personal vendetta's above good leadership & promoting good conservatives like they are supposed too, ORP Chairman Kevin DeWine & John Husted set out on a search for a sap to get in the State Auditors race for a run against Seth Morgan. Were they looking for a better candidate? Nope, any warm bodied sucker would do. After shopping around and offering a guaranteed endorsement from the GOP State Central Committee but no financial support for getting in State Auditor primary to several people and being laughed at, Kevin DeWine & John Husted finally found their sucker in Dave Yost. Yost, who is NOT a CPA, in a major lapse of good judgement and integrity, and knowing he was also being blocked in fund raising by the GOP money bags not wanting to donate against the friend of John Kasich & well-funded -- Mike DeWine, dropped out of the Attorney General primary and will run in the State Auditor primary against Seth Morgan. In a fit of fantasy land thinking, Yost feels that since he is now the handpicked candidate of Kevin DeWine & John Husted, the same GOP money men who refused donating to Mary Taylor in the Auditors race against Pepper -- will now open their check books for him. For the record.... there is no love lost between cousins Kevin DeWine & Mike DeWine. ORP Chair Kevin DeWine would love nothing more than seeing Mike DeWine get beat in the primary, but he knows his lemon-like leadership was too weak to help Yost beat his cousin and settling the score against Morgan was more important. So because of the above, the make Sen. George Voinovich look conservative, gun-hating, lover of global warming lifetime politician Mike DeWine will get a free pass in the Republican primary for State Attorney General and the ORP is pushing a candidate in the Auditor primary, Yost, that just wants to get elected to a state office and is according to their own words in Taylor's race for Auditor four (4) years ago unfit to be State Auditor because he is NOT a CPA. I bet you thought our fight in pushing public policy consistent with our three core values was going to only be against the progressive liberals. So for the party hacks out there saying the leadership of the Ohio Republican Party promotes good conservative candidates and hears the voices of the grass roots groups is equal to agreeing that the science behind global warming is accurate. Equally disturbing as the above is the fact that the people serving on the governing body of the Ohio Republican Party, the State Central Committee, have ALL sat silent as the future of OH is being frittered away over elementary school type vendetta's from the lemon-like leadership at the ORP. I had an exchange on Facebook yesterday with one of the talking heads of the local GOP regarding the Tea Party & 9.12 groups. I agree with you 100%. Tea parties are a mob scene that make a lot of noise, nothing more. How many of these people are actually registered Republicans? How many will actually pull an R ballot in May? And, how many are actually registered to vote? Have a voting history? You would be amazed to find out the biggest mouths have not even voted in years much less coughed up cash. Ralph-If you think Obama & his crew are affected by the tea parties & 9.12 then I have some beach front property in Iowa you might like. Obama is laughing at you. As you can see, in the social club bubble many of these Elephant Clan members slither around in, they are totally clueless as to what is happening in the real world. The party hacks believe we exist to fund their poor candidates. In their world it is easier to cry and blame others for their failures and inept campaigns. Help-wanted ads are appearing on Craigslist that offer to pay citizens $24,000 a year, plus health insurance, to "counter the hysteria and lies of Glenn Beck and other talking heads" and "stop the tea-baggers!" The ads are being posted by Grassroots Campaigns, a for-profit canvassing group that has performed services for the Democratic National Committee and oveOn.org. Its postings can be found among Craiglist listings in Chicago, Ill.; San Francisco, Calif.; Boston, Mass. ; Philadelphia, Penn. and Austin, Texas. "Whose agenda will win in 2010?" the ad asks. "You decide." It continues, "Change takes work. After the 2008 election, we know what's possible when millions of people commit themselves to creating the world they want to see – but we also know that one election is only the beginning. Across the country, the struggle for human rights, marriage equality, and reproductive rights continues. To counter the hysteria and lies of Glenn Beck and other talking heads, progressives need to get organized and get activated – and we don't have a moment to lose!!" I'd say the only people laughing were the people who were still awake after the Comedy Hour of State of the Union speech last night. But this shows that not only is our fight against the progressive policies being advanced by the Obama administration, but also with the out of touch with the real public Republicans that still think they are relevant. More than 61% of Americans say it is time to drop government takeover of health care. Congressmen Michele Bachmann, Steve King, and Louie Gohmert have created a Declaration of Health Care Independence and asked for input from our Local Coordinators as they developed it. 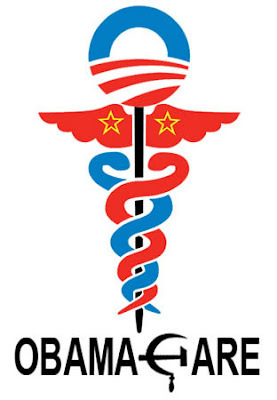 Tea Party Patriots is endorsing the Declaration of Health Care Independence. For those within driving distance of DC, we invite you to attend the Tea Party Patriots Press Conference on Wed. January 27th at 1 p.m. at the National Press Club (529 14th Ave NW, Washington, DC 20045) when we announce our endorsement of the Declaration and encourage our elected officials and all Patriots to pledge their support. Check www.teapartypatriots.org web site for the Declaration of Health Care Independence Pledge to sign. We should have the pledge online in the next few days. The debt ceiling has increased from approximately $10.62 trillion to $12.33 trillion in the last year. Now Congress is considering raising the limit to $14.3 trillion! Instead of increasing the debt ceiling, Senator Tom Coburn has the novel idea to cut spending and leave the debt ceiling alone. The government has gotten fat for years off the American taxpayer by creating more and more programs that do exactly the same thing. For example, there are more than 14 programs administered by the U.S. Department of Education related to foreign exchanges and designed to increase opportunities for students to study abroad. This amendment to the currently proposed federal debt increase will put the federal government on a massive diet by reducing redundant programs, releasing unspent funds to pay down the debt, thereby saving the taxpayers billions of dollars each year. It will cut spending by $120 billion, consolidate 640 duplicative government programs, and prevents politicians from pursuing the fiscal obesity plaguing our nation. Tea Party Patriots are just ordinary people reclaiming America's founding principles. Most of us have known, and his actions have shown, that President Obama routinely puts partisan politics in front of good policy. This is consistent with Obama's actions & votes during his "weekend" stay in the Senate prior to becoming president. Reuters reported two hours ago that multiple financial industry sources claimed that Treasury Secretary Tim Geithner was unhappy with the President's plan he announced today to rein in the banks. The sources said that Geithner thinks Obama is sacrificing good policy for politics. President Barack Obama's newest Wall Street crackdown was met with hesitation from Treasury Secretary Timothy Geithner, who is concerned that politics could be sacrificing good economic policy, according to financial industry sources. Now, sure, we don't know the names of those sources. But for Reuters to run this piece, the sources had to be some pretty senior people on Wall Street with extremely close ties to Geithner, who came from the NY Fed before he took the job at Treasury. Even stranger, the Treasury refused to comment for the story. Now, if a cabinet member reportedly leaked to his buddies in NYC that he thought the President, his boss, was harming the country for political expediency on a major policy initiative, and the story was wrong, the Treasury would immediately tell Reuters that the story is a bunch of BS. Instead, Treasury refused to comment. Now there's an updated story that includes a White House official saying Geithner worked on the plan with Volcker and Summers. Though, what's not coming from the White House official in the Reuters story is an outright denial of the story itself - that Geithner told friends in NY that Obama was harming the country for politics. Oh, and the updated story came out two hours after the first story. And guess what it doesn't include. A denial from Treasury either. The grasshopper is found dead in a drug related incident, and the house, now abandoned, is taken over by a gang of spiders who terrorize the ramshackle, once prosperous and once peaceful, neighborhood.The entire Nation collapses bringing the rest of the free world with it. Be careful how you vote in 2010 !!! Tea Party Patriots and others involved in the tea party movement have asked Congress to listen to us. In the past year, we, the people, have demanded accountability. We, the people, demanded principled leadership. And, we, the people, demanded that our elected officials represent us. It is so appropriate that the American liberty movement started in the Boston Harbor in December, 1773 with the Boston Tea Party. Today, we carry on the tradition of tea parties in the spirit of our founding fathers. We carry it on in the birthplace of the American liberty movement. The birthplace of the original tea party patriots. The birthplace of American patriots. Everyone who watches the news knows what’s taking place here in Massachusetts and what’s at stake as far as future policy and legislation. But what most people don’t get the chance to do is to actually feel what’s in the air here in the cradle of American history. So I wanted to travel to Boston to touch the moment, firsthand, and to share that experience with people who can’t be here. Last night I boarded a redeye from the west coast, and I exited just hours later in the midst of one of the seminal battles of the Second American Revolution. I think we can agree from their comments, we are all part of something special. Thanks Mark & Jenny Beth! For all of our members.... I hope you see that YOU really are the Heart & Soul of the Tea Party Patriots! After Coakley conceded the U.S. Senate Race in MA last night, some of the Democrats quickly issued statements on what their next steps should be on the current Health Care Reform fight. “I have two reactions to the election in Massachusetts. One, I am disappointed. Two, I feel strongly that the Democratic majority in Congress must respect the process and make no effort to bypass the electoral results. If Martha Coakley had won, I believe we could have worked out a reasonable compromise between the House and Senate health care bills. But since Scott Brown has won and the Republicans now have 41 votes in the Senate, that approach is no longer appropriate. I am hopeful that some Republican Senators will be willing to discuss a revised version of health care reform because I do not think that the country would be well-served by the health care status quo. But our respect for democratic procedures must rule out any effort to pass a health care bill as if the Massachusetts election had not happened. Boy, it sounds as if Frank is starting to get it! It will be very interesting to see how the Health Care bill plays out.... will they finally listen to the American people or will they arrogantly continue trying to ram through health care which as we see, some of the Dems strongest supporters are starting to back away from? As part of his “White House to Main Street” tour, President Obama will be speaking at Lorain Community College this Friday, January 22nd. The Lorain/North Shore Tea Party Patriots will be hosting a rally to "greet" President Obama -- please come and show your support! 11 a.m. – Doors open at Lorain Community College Field House for those who have a ticket to get into the venue. 1 p.m. – Guests who have tickets for the Field House must be in the venue. For more info, visit http://www.lorainccc.edu/Community+Services/Main+Street+Tour.htm. Based on the above schedule, we believe that President Obama will be arriving around or after 1:00 p.m. We encourage people to meet at Gander Mountain / Sam’s Club parking lot around 11:45 a.m. to Noon. Gander Mountain / Sam’s Club parking lot, 5244 Cobblestone Road, Sheffield Village, Ohio, 44035. We will walk from the parking lot to our rally point, which is still TBD. Please anticipate at least a ¼-mile walk. Important reminders: We ask that you do not bring any offensive signs and remain respectful at all times. We do not want to give the media any chance to portray us as a disrespectful mob. For any last minute changes or contact information, click here to visit the Lorain / Noth Shore Tea PArty Patriots. The other Republican Ohio US Senate Candidate forgotten by the Ohio Republican Party and local Cuyahoga Republican Party will be in Lakewood next Tuesday the 26th at Lakewood City Hall Auditorium (12650 Detroit Ave). He will speak and then have Q&A. During his tenure as Director of the FBI, J. Edgar Hoover routinely spied on U.S. citizens who were speaking out against the government -- Dr. Martin Luther King being one of them. It looks like Facebook co-founder, Chris Hughes, has been and still is, like a current day Hoover without a badge for President Obama and his Czarministration. "There should be a real focus on metrics and analytics," he said. "I don't think there's anything that's been more core to the success of Facebook and the Obama campaign than knowing up front and as quickly as possible what individuals are doing." At any given moment during the campaign, he said, "we knew how many people were active in any given state or congressional district ... we could see what people were excited about, what stirred them." And many Democrats, and some Republicans, thought unwarranted wire taps on suspected terrorists & the Patriot Act violated their privacy and took away their rights! I guess knowing who plays "Whoville" & "Farmville" is now considered a national security threat. Who'd a thunk it! As we know, some people have been SCREAMING that a more free market & private-sector approach and way of thinking would only improve government operations and efficiency -- but that is material for another post. Improving technology and learning techniques for improving efficiency from successful private sector companies is not a bad thing for the snail-like effect imposed on operations and/or programs by inefficient government bureaucracy. But it appears the White House Forum on Modernizing Government is nothing more than a thinly veiled cloak for a much larger increase of "Big Brother" government using the private sector and modern technology to gain knowledge on your personal information, purchasing habits, hobbies, trends & your thoughts. Or as in Hughes & Facebook's case -- a proxy spy agency for Obama's presidential campaign and now his Czarministration. Watergate was only a hotel break-in, what Hughes & Facebook has done for is like having someone breaking in tour house and rummaging through your underwear drawer! Speaking of underwear.... what should make Facebook Gate even more alarming is that DHS Director Janet Napalitano & the current Czarministration feel Tea Party Patriots, 9.12er's, our returning soldiers & Marines, and other U. S. citizens exercising our God given & Constitutionally protected rights are extremists and warrant being investigated -- but Fruit-of-Kaboom jihadikaze's trying to blow up airplanes are just spiffy! Besides Hughes admitting Facebook is the government's black book on citizens, most of the current Internet search engines track and retain your IP addresses along with a history of your search requests and the links you visit. There is a current Internet search engine, StartPage.com that does not track your searches and acts as a proxy server. The Tea Party Patriots have a fairly new Social Networking page (Click Here) where you can be assured that your information will never be shared with anyone. This is also a great place to meet Tea Party Patriot members from other states and see what other TPP groups are doing. Major news sources like to monitor migration trends among states. The Census Bureau has been watching these trends also and what you find "between the lines," is really quite interesting. The fastest growing states for population are (in order) Wyoming, Utah, Texas, Colorado, Alaska, Arizona, Washington, North Carolina, Georgia, and South Carolina. They are often huge. Texas gained over 500,000 in one year. This is largely attributable to the huge number of businesses that have relocated to the state. All of these states lean Republican or are very Republican. Republican strategists’ lips salivate when they think of these population shifts to their state. This means more Congressional seats moving to their states and away (as you will see later) from Democrat states. However, they may be surprised by the long term results, as I will explain later. They tend to be in the West or (even more so) the South. This has been a trend that has persisted for decades and continues to be the case. Politically, the implications of this are significant. All of our Presidents since John F. Kennedy have been from Texas, California, Georgia, and Arkansas (with the exception of our sitting President and Gerald Ford. What about states that have seen a decline in population? They are, starting with the biggest loser, Michigan, Maine, Rhode Island, Ohio, Vermont, New Hampshire, West Virginia, Pennsylvania, New York, and Mississippi. They are in overwhelmingly liberal states. With the exception of Mississippi, these states are all "true blue." This, again, makes conservatives excited and liberals concerned, but the long term implications could prove different. With the exception of Mississippi, all of these are in the East Coast and Midwest, which have also suffered when it comes to political prestige and power. I believe that the political and economic environment of many of these states have become so hostile to entrepreneurship and economic growth, people are voting with their feet in a quest to find better jobs and opportunities. Michigan has taken a pounding for decades (my family was among the "Michiganders" who flew South to flee the rust belt in the 1970s) and continues to face economic pressures due to unions that international competitors never have to encounter. New York and Connecticut are noted for their constant regulatory pressures they apply on business, forcing many to have little choice but to leave. The list goes on; people are leaving these states on the quest for economic prosperity. I believe Republicans, who appear to be the long term winners in these shifts, should be cautious in their enthusiasm. I remember when I worked as an aide for US Senator Gordon Humphrey of New Hampshire. That state had become extremely Republican by the 1980s and was enjoying growth as people fled the disastrous political and economic situation in Massachusetts just to the South. Eventually New Hampshire became increasingly liberal as people moved who knew there were things wrong with their home state -- taxes, crime, etc. -- but didn't realize that the people they were voting for were the source of their problems. So once they moved to a new promise land, they brought the same terrible policies with them. Today, New Hampshire is now a major population loser as the migrants from Massachusetts wonder what happened to the Granite State. It is a vicious cycle. The future looks bright for conservative friendly states on paper, but this will only be the case if new voters support the very policies that have made these states so attractive in the first place. Since Tea Party Patriots is a grassroots, bottom up organization, as we develop a long range vision, we want your input. As we have said many times, you are the heart and soul of the Tea Party Patriots. Our long range vision must be developed with your ideas and vision in mind To that end, please fill out this Three for Tea Survey. After your initial input, we will compile the results, may have a follow up survey in the next few weeks, and work with the Tea Party Patriots Nationwide Leadership Council and Local Coordinators before the long range vision is final. It is only through your input that we will be able to grow with a continued success as the Home of the Official Grassroots American Tea Party movement. The Mansfield Tea Party Patriots and the Ashland Tea Party will be hosting one of our Politics 101 seminars. In this class you will learn how to take back what is rightfully ours through the 2 party system. The goal of this two-part seminar is to educate the public in the best practices for "Precinct Organizing", and to gain more political impact in future elections and the direction of our country through the core Tea Party Patriot principles of limited government, free markets, and fiscal responsibility. Let's make 2010 the year the Restoration of America finally begins! Time: 11:00 a.m. to approx 12:30 p.m.
An indepth discussion of the political party structure at the precinct, county and state level, and how you can become more involved, followed by a brief Q & A. Light refreshments will be served. Please RSVP by January 27th, with your precinct name and number. Seeting will be limited. Now that you're part of the political machine, how do you impact change, quickly and efficiently, through proper parliamentary procedure, bylaws, etc., followed by a brief Q & A. Light refreshments will be served. Please RSVP by February 10th, with your precinct name and number. Seeting will be limited. Will the OH Attorney General do what is right for OH Voters? Attorney General Cordray is urging members of Ohio's congressional delegation to oppose the provision that would give preferential treatment to the state of Nebraska. 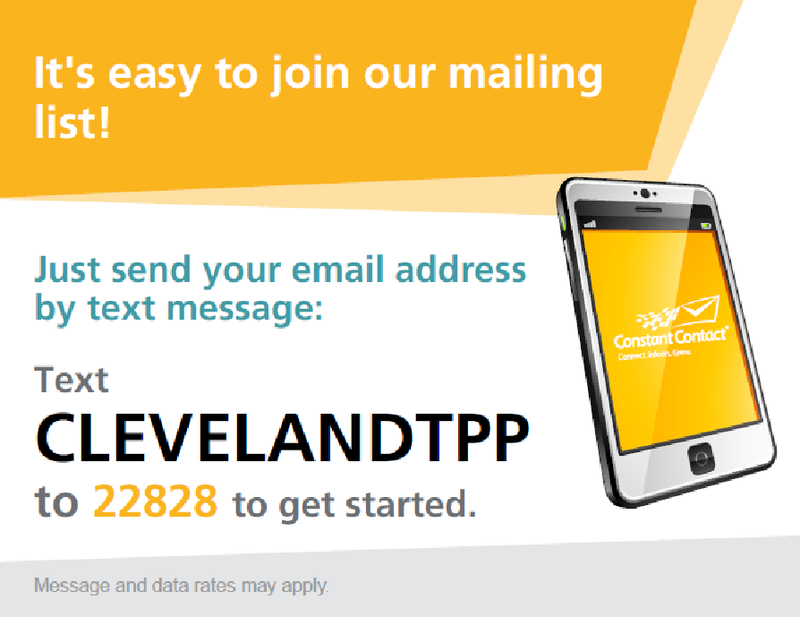 To view Attorney General Cordray's letter to the Ohio delegation, go to www.OhioAttorneyGeneral.gov/ HealthCareLetter. For the record & again showing your calls work, this letter was not posted on the A.G. website the DAY AFTER the Medina Tea Party Patriots started contacting their office. Fellow Patriots, AG Cordray's letter, though nice at tooting his own political horn, is nothing more than empty words. It is time our politicians stop putting our money where their mouth is and start doing their job! Instead of asking the OH congressional delgation to fight the health care bribery package put in place for Nebraska and other states, Attorney General Cordray should use every means available to him as Attorney General in stopping this -- not pawning it off on others. If Attorney General Cordray is REALLY against this preferential treatment he should do his part in representing the State of Ohio's best interest and join South Carolina Attorney General Henry McMaster -- the leader of a group of 13 Republicans and one Democrat State Attorneys General -- who are threatening to file a law suit against Congress in order to stop passage of the radical health care bill currently being considered. We are asking you to contact Ohio Attorney General Richard Cordray and urge him to join the other State Attorney General's Offices in their efforts. Kindly remind Attorney General Cordray's office that the Tea Party Patriots in Ohio are fully aware he is up for re-election this year. You can also go to the Ohio Attorney General website (http://www. ohioattorneygeneral.gov/) where you can file a consumer complaint against the very health care bill that Ohio Attorney General Richard Cordray says unfairly burdens residents in Ohio. Tea Party Convention is a Fraud! We are encouraging you to be very leery of attending the so-called "Tea Party Convention" in Nashville. This event is NOT endorsed or supported by the Cleveland Tea Party Patriots or the Tea Party Patriot national group. As time passes it is appearing this "convention" is a fraud and being used to raise money for a select few wishing to line their pockets with your money -- much like our government. We feel it is despicable that such morally bankrupt individuals would poison the purity of this movement for financial gain. We participated in the first tea party here in Chicago, which was an impromptu assemblage of people, in early 2008, who saw what Liberals were doing in Washington and rose up against that. We even got to speak at the Tax Day Tea Party, here in Chicago, which was a much more organized event, and helped Chicago Young Republicans with their own Navy Pier Tea Party later that same day, Tax Day, last year. What we’re about to say next is difficult, and we don’t have time to do proper justice to what we want to communicate, but so many of you are asking us what we think about the Tea Party Convention in Tennessee that we’re taking some time away from phone-banking for Scott Brown today to address this. We love the Tea Party spirit, as manifest in regular Americans who are taking to the streets, heading to Senators’ and Representatives’ offices, and marching on Washington. We are part of those people, too. We will not be silenced or tread upon by Liberals and their media enablers. However, we DO NOT like the people behind the Tea Party Convention in Tennessee. The people running this convention are bad news. We know some of them, and they are slime. A surprising number of them worked here in Chicago in 2008. They are opportunists of the first order. What they have done is simple: they saw a business opportunity in the Tea Party movement, which is very real, and decided to install themselves in a new hierarchical organization of their own design that’s amateur and destined for some forthcoming scandal. The people we know, from Chicago, involved in all of this are unstable, backstabbing, and more than a little crazy. So, we are truly torn, because anything that gets more people on their feet and into the streets protesting what the Liberals are doing is a good thing — but we are VERY WARY of the people running this convention in Tennessee. We’ve never had good experiences with these people before, so why would we think they’ve changed because they now have this entity they created to capture the enthusiasm of a grassroots movement? Our fear is that these opportunists will hurt the cause and turn many people off spontaneously grassroots protesting because they’ll think it’s all Axelrod-grade astroturfing. We’re turned off by it, but like we said, we’ve peaked behind the curtains and know who’s pulling the strings on all of this. We urge people to be very, very careful whenever trumpeting any third party nonsense. Eeyores and Concern Trolls aren’t the only weapons Democrats use against Republicans remarkably well. Liberal lunatic whose supporters trolled the internets stoking you up to vote third party. This trick has worked marvelously well since 1992, when Democrats encouraged conservatives to vote Perot so that the Clintons could squeak into the White House with 43% of the vote. That was wonderful back then, because we love the Clintons, and were happy that Republicans stupidly got distracted by Perot in large enough numbers for us to win. Whenever someone we like is running on the Democrat side, we hope everyone out there falls for whatever tricks are being used against you, but not when Liberals are on the Dem ticket and we want them beaten. We know for a fact Democrats fund third party candidates that will steal votes from Republicans — the kind of voters who won’t ever vote Dem, and won’t stay home on Election Day, but will vote for some crazy Libertarian or Green Ticket or whatever, “to send the GOP a message”. Have another bottle of scotch, Liza Minnelli, and keep drinking yourself to death. Our fear is the Tea Party Convention is falling right into that trap…as so many of you that get excited by it also start talking about “being sick of both parties” and “thinking it’s time to start a third party”. No, it’s not time to do that. Doing that gives Dr. Utopia a second term. Wait until he’s defeated, and America is safe from socialism, and screw around with spoilers when Hillary Clinton gets to run on the Dem ticket and we want you to self-inflict wounds that will give her the White House. Don’t engage in this craziness now, when it can only help Dr. Utopia. What we’d prefer the Tea Party energy was focused on was removing Liberals from office. That should be the only goal of this movement. To go after every Liberal donor and cut off the money stream into the DNC that’s pushing Liberals into office. The Tea Party movement also needs to launch a full frontal assault on George Soros, and all the puppet organizations he funds, like ACORN, Moveon.org, etc. Cut off the funds, and you snip the head off a treacherous snake. Liberals are the greatest threat to our democracy in this nation’s history. George Soros is up there with Stalin, Hitler, Hussein, Mao, Hirohito, and other villains in history who wanted to see this nation destroyed. Unlike those others, Soros is actually succeeding — perhaps beyond his wildest dreams. Every vote for a third party candidate helps Soros inch his plan closer to reality. People have to start realizing this. For the rest of our lives, we are always going to vote for the best person in the race, whether that person is Democrat or Republican, man or woman, straight or gay, white or black, etc. But we are not going to throw our votes away on people who have no legitimate shot at winning, but who are being propped up by one candidate just to take votes away from the other. Do the math on this, and always think about who has the best chance of defeating the person you DON’T WANT to win. Give your vote to that person, so that lunatics like the one in the White House now don’t keep getting elected. We don’t think the Tea Party Convention in Tennessee is a good idea. Many of you have been encouraging us to go to that, and we say from the bottom of our hearts how flattered we are that you want us to go. That’s incredibly kind, and we’re truly honored many of you want to meet us or want us to speak at that Convention. That’s amazing to us. But, we just don’t trust the people running this. We also are scared these people are really being propped up by Soros, in some way, as a plot to distract voters in 2012 and take votes away from the Republican and create a spoiler that will hand the second term to Dr. Utopia. That’s just so incredibly dangerous. makers to run a third party candidate against her, because she’s already been embraced by those most inclined to jump onto a third party. It is, yet again, another brilliant tactical move on her part. She proves to us again she will indeed be our next president, as she’s thinking three steps ahead of everyone else, on a daily basis. THANK GOD IN HEAVEN FOR THAT. Unemployment in 2012 will be 12% or more. Dr. Utopia’s approval ratings will be in the 30s. Democrats will not be able to muster any groundswell of support in the next election — certainly not enough to counter the swell of Republicans (who sat out the 2008 race) who head back to the ballot box to drive the Liberals from Washington. The ONLY way Democrats win in 2012 is to use a third party, Perot-esque spoiler. Every time one of you goes on about third parties, we clearly see this plot working, and it scares us. Living in Chicago, not much scares us anymore, but man alive, this does. Scott Brown: Working for the "People's Seat"
About 24 hours ago, I uploaded a short video on YouTube of Massachusetts senate candidate Scott Brown, in which he declared to debate moderator David Gergen “With all due respect, it’s not the Kennedy’s seat, it’s not the Democrats’ seat, it’s the people’s seat.” At the time of this writing, just 24 hours later, that video has been viewed over 270,000 times. Last night and today, the video was embedded or linked on countless blogs and was even featured on the Drudge Report. That moment of the debate was discussed by Rush Limbaugh on his radio show today and the video was embedded on his website. The Massachusetts special US senate election is on Jan 19th. Candidate Scott Brown will will take away the 60th vote from the Democrats and will KILL THE HEALTHCARE BILL. Brown says he will vote to KILL Obamacare if he is elected. He is Republican vote #41 and his vote blocks cloture and KILLS the healthcare bill. We have made up 30 points in the polls in the last month and are ahead by one! Organizing for America is sending out info for a phone bank for Brown's opponent Coakley (D) today. MoveOn.org and SEIU are pouring money into the race to get Coakley elected. Bill Clinton and John Kerry are going to Massachusetts to help. We NEED to win this one. Scott Brown needs our help and the national phone bank is the key. Attorney General Cordray is urging members of Ohio's congressional delegation to oppose the provision that would give preferential treatment to the state of Nebraska.To view Attorney General Cordray's letter to the Ohio delegation, go to www.OhioAttorneyGeneral.gov/ HealthCareLetter. Please contact our targeted congressmen and, along with asking them to vote against any versions of the proposed health care reform, ask that they support efforts to allow C-SPAN access to all health care discussions. Also remind these three congressmen that we are also aware they will be facing relection this year. You heard of the "Bridge to Nowhere".... how about more stimulus funds to nowhere! The federal government sent 2.5 million stimulus dollars to North Carolina ZIP codes that don’t exist. The information came from the government’s own Web site — Recovery.gov. The site was set up to track the distribution of the $787 billion made available by the American Recovery and Reinvestment Act. Every day I see another poll stating support or opposition to policy positions. 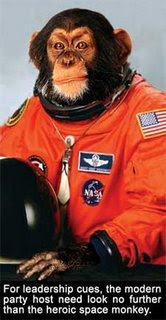 Some times they are being mentioned by major media -- Fox News, the Washington Post, Newsweek Magazine -- or other source. Other times they are being promoted by major organizations; groups who are for or against guns, groups that are for or opposed to socialized medicine, people who want tax increases and those who want to dump tea because of them. Today, polls dominate public policy debate. I believe that those who live by the polls -- especially people who claim to support liberty -- will die by the polls. • If a majority of Americans support a massive increase in taxes, do tax increases become a good thing? • If a majority of Americans want to severely limit access to firearms, is that a good thing? • If a majority of American want to socialize medicine, should we be supportive of it? Invariably, polls that do not support "our" position are dismissed as distorted, skewed towards certain population groups, or are simply wrong. It is not the numbers that are wrong, it is the idea of using polls to drive policy debates that is the problem. Polls are the tools of demagogues and purveyors of mob rule. Polls are tools used by the majority and are designed to bring the minority, or the one, "in line." One of my favorite quotes on the subject is from Ayn Rand who said, "The smallest minority on earth is the individual. Those who deny individual rights cannot claim to be defenders of minorities." The Founders attempted to make a country in which individuals ruled and the elected officials served to protect them (and not “provide” for them). Our federal government was designed to do very little at all. Its primary objective was to protect individuals from other individuals and our nation from adversaries. Its seventeen enumerated powers in Article I, Section 8, gave the federal government a very modest agenda, with the vast majority of power being deferred to the states and (more importantly) individuals. Furthermore, the Founders created a convoluted form of government that made change difficult to achieve. This was not by accident, but design. While the so-called "French Republic" started years after ours, it has had five different governments over the last two hundred years. The British boast of a "Constitution," but that is simply the evolution of law over centuries. Our Constitution was intended to mean something. It was meant to make government small, but strong. It provided the separation of powers -- the Legislative, Executive, and Judicial branches -- for the primary objective of making it difficult for laws to pass. It was meant to hinder, not foster, change. Our office of the President differs greatly from the Prime Ministers of Europe. The latter are mere extensions of the legislative branches and are meant to facilitate change. The former is meant to represent the interests of all the people and often resist the legislative agenda. Our Constitutional Amendment process is so daunting; we have only had 27 amendments approved since 1789. Since that time over 10,000 amendments have been introduced and any where from 100 to 200 have been offered annually for the last several years. Of those 27, ten of them were ratified with the Constitution (they are our Bill of Rights) and were a prerequisite for the document being approved. Seventeen amendments over 200 years demonstrates a government adverse to change. The Founders were opposed to most "change" when it came to government, because such was virtually always done at the expense of individual freedoms. Those who do not share such values continually discount the delays in our founding documents and often try to legislate through courts and bureaucracy. I, for one, believe it is time to go back to the principles that have worked and are found in the Constitution and not public opinion polls. Courtesy of the bloggers at Hillbuzz.org. Some things are so good they must be shared. Tea Party Patriots release statement on Third Party Nonsense! There is much talk of the formation of a third political party based on the tea party movement. In Florida, a Democratic operative with absolutely no connection to the tea party movement has filed papers to form a third party called the Florida Tea Party. He has issued legal threats against local tea parties demanding that they cease using the name "Florida Tea Party." The Tea Party Patriots encourage all citizens to get involved in the party process, and to reshape their parties into something in which they may once again believe. This country does not belong to any one party, nor does it belong to the career politicians. This country belongs to the citizens. As Benjamin Franklin once said, "We have given you a republic madam, if you can keep it." The founders knew that it would be our sacred obligation as citizens to get involved, and to work hard to hold on to this great nation. We have much work to do, and future generations will look back in judgment. We hope you will join us in preserving the republic.You are the heart and soul of the Tea Party Movement. Thank you for promoting the causes of fiscal responsibility, constitutionally limited government, and free markets with us! A Doctor's letter to a Senator.....Scary Stuff! Page 150 Lines 9-13: A business with payroll between $251K & $401K who doesn't provide public option will pay 2-6% tax on all payroll.. Page 167 Lines 18-23: ANY individual who doesn't have acceptable HC according to Govt will be taxed 2.5% of income.. Page 298 Lines 9-11: Doctors: If you treat a patient during initial admission that results in a re-admission -- the Govt willpenalize you. I urge you to use the power that you were born with (and the power that may soon be taken away) and circulate this email to as many people as you can reach. The Power of the People can stop this from happening to us, our parents, our grandparents, our children, and to following generations. Many time we hear a young couple say they want a baby, Or a teenager I want a car or someone will say I want a new house, I want to be my own boss and so on. But when the baby comes you never hear anyone say I can't wait to be woke up at 3:00am to change a diaper, I can wait till this little baby pukes on me,stay up late when they get sick, or talk to the neighbor when a ball goes thew a window, when he grows up I am looking forward when the principle calls me and tells me he/she is in big trouble. I looking forward to paying his/her car insurance bill and when talking to the police if he or she ever get arrested. I want a car the teenager tells there parents , But we never hear , Oh I just can't wait to do the maintenance, change the oil learn how to change the tire or pay for the gas and insurance, I am so looking forward to that. I want a house, but we never hear I am looking forward to fixing the hole in the roof, fixing the broken pipes when a leak burst open over the TV set and blows out the electrical. We never hear I can't wait to cut the grass shovel the snow in the drive way. I can't wait to kick the furnace when it quits and it 30 below 0. I to be my own boss, but we never hear I can't wait to hear all the complaints from angry customers ,or fire the hired help, fill out the tax forms and deal with the IRS. I am looking forward to the audit. I want a new puppy, but you never hear people say, I am looking forward to the vet bills paying for the food, chasing it down the street. Replacing the flowers it dug up in your lawn or your neighbors lawn, and you never hear I just can't wait to clean up the Dog Poop. so your asking what am I getting at? In this time of struggle for our country, more people than ever are willing to let the government think for them. People are losing basic freedoms in exchange for Government handouts. Far to often I hear the government is going to do what it wants, which may be true, But I am not hearing enough people say I want to take a stand, I want to get involved or march on Washington to protect my freedom, I want to hold a sign of protest in my hand or stand in the freezing cold to demand better leadership. make phone calls and write letters to our elected leaders. And I a sorry to say I have to look in the mirror on this one I have had it rough this past year and been more focused on job hunting which is very important also. 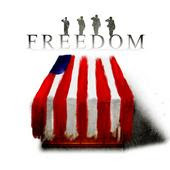 But somehow this year I resolve to do more than I did last year to protect my freedom and my rights. But I am asking that more of us find the time to do something to keep America great! It is still the best nation in the world, but the hour may be later than we think! POLITICO’s Ken Vogel bears witness to the “resurrection” of Howard Dean, the progressive champion who traded his establishment bona fides as chairman of the Democratic National Committee for a more comfortable role as a liberal vanguard: "After four relatively low-profile years pushing the official party line as chairman of the Democratic National Committee, Dean is once again the tribune of frustrated liberals. … And after he called out President Barack Obama and his congressional allies over their concessions on health care, those close to him predict he’s just getting warmed up.